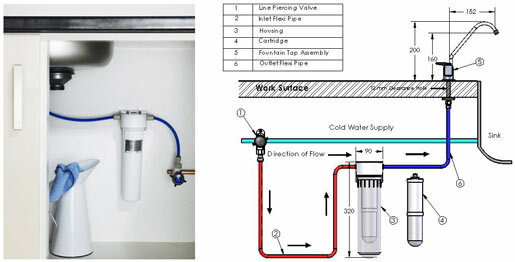 By installing a filter inline with the water supply a far higher standard of filtration is achieved than with a jug type filter. 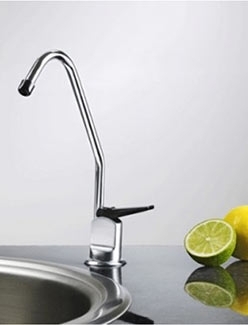 The purified water emerges from its own tap connected by your sink. Each filter is rated at 4,000 litres. So for a household of 4 people each consuming 3 litres a day the filter will last a year. The filter employs a six stage filtration system. Removes 100% chlorine 99.99% bacteria and sediment.